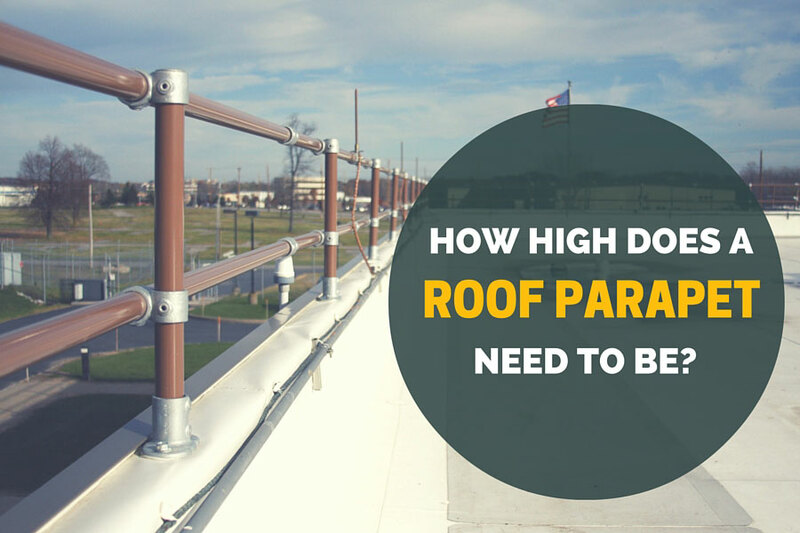 In order for a roof parapet to provide adequate fall protection, a roof parapet railing should be at least 42" in height. Unfortunately, many buildings get close to this height without quite meeting the height required by OSHA to provide fall protection. There are several solutions to help you raise the height of your parapet that are cost-effective and aesthetically pleasing. 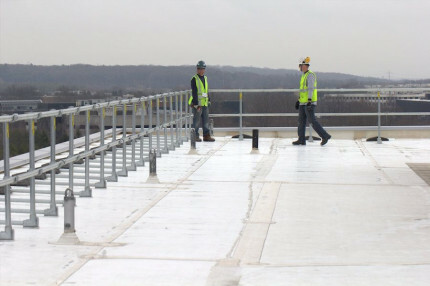 Here are several solutions if you find yourself in a situation where your parapet does not meet the fall protection height requirement. This is the simplest solution. If you can penetrate your roof parapet, there are several roof parapet railing solutions. We offer railings that attach to the top of the parapet. If penetrating the outside of the wall is not an option, a freestanding, non-penetrating railing can be used to keep people back to from the roof edge. Find out more about KeeGuard, our non-penetrating roof railing. 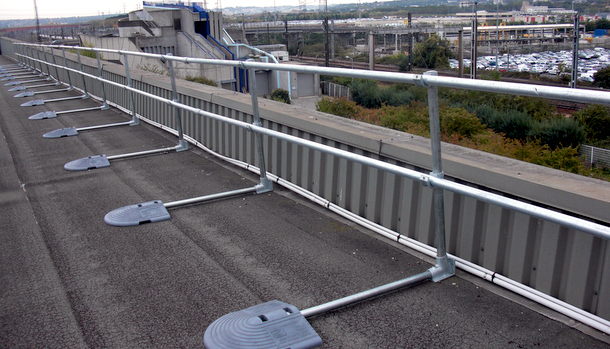 If you only require temporary access to a roof with a lower parapet, then parapet clamps are a cost-effective option. The clamps are designed to clamp onto the roof parapet. 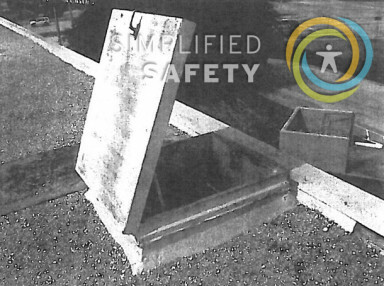 The railing is then formed by inserting 2x4s between the clamps to form a safe, temporary barrier. 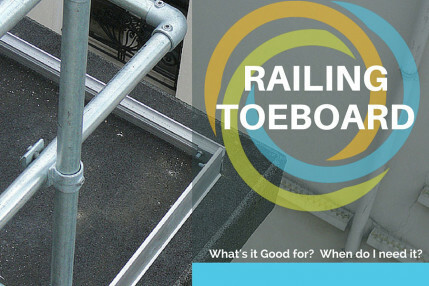 Click here to find out more about temporary parapet railing brackets. Whatever the situation you find yourself in, reach out to our safety experts. They can recommend products and solutions to help you understand the benefits of the different parapet railing solutions that are available.